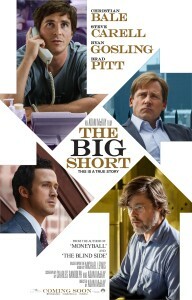 The Big Short features a stellar ensemble cast including Steve Carell, Christian Bale, Brad Pitt, and Ryan Gosling with a collective 379 award nominations between them. Coming from such cinematic pedigree as Anchorman: The Legend of Ron Burgundy, The Dark Knight, Fight Club, and Drive, The Big Short is a worthy addition to such esteemed company. 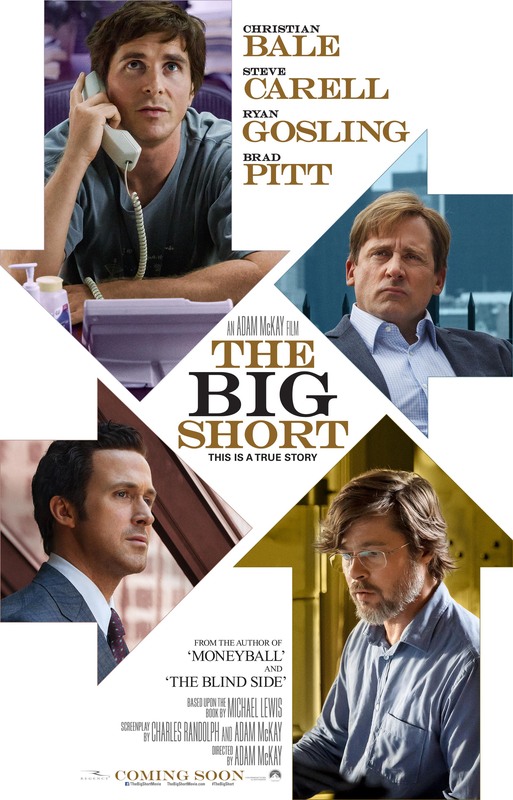 Based on the best-selling book by Michael Lewis, who also wrote The Blind Side and Moneyball, The Big Short is based on the stunning true story that led one bold investment into the underbelly of modern banking. Pitting four outsiders against the big banks, the media, and government regulators Carell, Bale, Pitt, and Gosling combine to beat the impending economic collapse with Adam McKay directing at the helm. To celebrate the release of The Big Short on 22nd January, we’re taking a look at other impressive ensemble casts in film featuring a country musical, space odyssey, and casino heist. Largely considered the quintessential ensemble film Robert Altman’s Nashville is also regarded as his greatest film. Featuring no less than 24 main characters and starring Keith Carradine (won Academy Award for Best Original Song), Shelley Duvall, Geraldine Chaplin, Lily Tomlin (nominated for Best Actress in Supporting Role), and a young Jeff Goldblum, amongst others. Altman takes the viewer on a journey through the rich country and gospel music culture synonymous with Nashville, Tennessee and frames these interwoven stories of success around the preparations for a political rally that instils a very personal and visual image of Altman’s America. Recapturing the British essence of the original Italian Job was always going to be off the cards for F. Gary Gray. But with an ensemble cast featuring Mark Wahlberg, Charlize Theron, Edward Norton, Donald Sutherland and Jason Statham on hand to complement the faithful nods and throwbacks dotted throughout, The Italian Job certainly makes for entertaining viewing. Creating a wholly original plot for Charlie Croker’s crew Gray actually does a pretty good job reimagining this classic for the modern blockbuster audience. The dream news team return in the sequel to cult hit Anchorman and Adam McKay directs the second instalment featuring comedy legends Will Ferrell, Steve Carell, Paul Rudd, David Koechner, and Christina Applegate. With cameos from Vince Vaughn, Sacha Baron Cohen, Liam Neeson, Harrison Ford, and Marion Cotillard we challenge you to come up with a more varied ensemble of comedy/action/foreign language/drama/science fiction stars to grace the silver screen. Marking a shift from the other titles in this feature, Babel is comprised of a wholly international ensemble to partner its sprawling international content. Featuring Brad Pitt (winning the Golden Globe for Best Supporting Actor) and Cate Blanchett as American tourists, a devastating event causes a chain of consequential circumstances that deal with isolation, fear and ultimately, solace. Starring Rinko Kikuchi of recent Kumiko, the Treasure Hunter and Pacific Rim fame and Adriana Barraza of local Mexican fame, Iñárritu draws on a culturally diverse range of actors to tell this epic tale of interconnectedness. One of the greatest science fiction epics in recent times, Christopher Nolan’s Interstellar (which won two Academy Awards) is suitably cast for such a worthy legacy. Matthew McConaughey (revelling in the glory of his McConaissance), Anne Hathaway, Michael Caine, Jessica Chastain, Casey Affleck, and Matt Damon all put in superb performances to ensure Nolan’s grand vision and daring characters justify Interstellar’s position alongside science fiction greats. Steven Soderbergh directs George Clooney, Brad Pitt, Matt Damon, Casey Affleck, Julia Roberts, and Andy Garcia in what is one of the most iconic heist movies in the genre. When Danny Ocean (Clooney) is released from prison he immediately seeks out Rusty Ryan (Pitt) for a huge score in Las Vegas. The plan: to rob The Bellagio, the Mirage and the MGM Grand, Terry Benedict’s casinos, on fight night. The reward: $150 million. Even the 1960 Ratpack original has nothing on this. This comic science fiction film features a cast of Hollywood heavy-hitters, but set in the style of B-movie spoof this big budgeted blockbuster largely fell on deaf ears with an expectant audience. Spawned from a 1960s trading card game of the same name Tim Burton directs Jack Nicholson, Glenn Close, Pierce Brosnan, Danny DeVito, Sarah Jessica Parker, Michael J. Fox, Natalie Portman, and even Tom Jones (yes, that one) in this zany political satire that has since become a cult sensation. “Best Ensemble Casts In Film” by James Haseltine. The Big Short hits UK cinemas on January 22nd.